The decisions that you make about your smile and oral health are important and will impact the rest of your life. Kitchener Dentist, Dr. B. Smaily and his team understand our patient's concerns and treat them with the utmost consideration while in our care. We believe that a trusting relationship is a result of good communication. Our commitment to our patients is to provide them with information and choices regarding their dental health, so that they are comfortable with their decisions. Our professional team is dedicated to preventative care and restoring naturally beautiful smiles. We offer a comprehensive hygiene program with thorough screenings, including digital x-rays. Our dental services range from kids dentistry, Family Dentistry, emergency dentistry, general dentistry including bonded fillings and sealants, cosmetic services including teeth whitening, porcelain veneers, and dental surgery including dental implants and wisdom tooth extractions. B. Smaily Dental offers the latest state of the art equipment such as thermal disinfectants, sterilizers and surgical air cleaners for infection and cross contamination control to ensure patient safety.We offer a range of services for all needs, using the best accepted practices in dentistry and modern materials that can last for a long time. We are able to provide family, cosmetic and emergency dentistry in Kitchener, offering emergency care to help you when you need it. Our commitment to high standards and continuing education ensures that we can help you get and maintain a brilliant smile. In order to ensure your visit is comfortable and relaxing, all of our operatories feature televisions so that you may watch your favourite shows while relaxing under a warm blanket. We invite you to browse through our website to learn more about us. 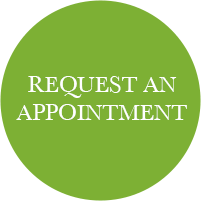 Please contact our Kitchener dental office to make an appointment. If you are a new patient please click here. To learn more about our services please click here. To view our dental education videos please click here.